Spain has an extensive rail network of value to the tourist seeking to visit large and medium cities and towns. Travel on Spain's trains is relatively inexpensive. In general, rail passes can save you money when you travel long distances in a day. Short day trips with a return to a big city are relatively inexpensive in Spain, so you don't want to use up a rail pass day on a short trip. 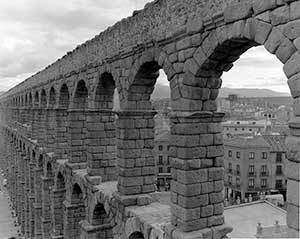 A trip from Madrid to Segovia to visit its amazing 2000 year old aqueduct and 14th century cathedral will cost you a reasonable $9 to $20, depending upon time of day and the speed of the train you select. Keep this in mind when deciding between tickets purchased either on line or in the station when you're in Spain. Here is a list of available Eurail Passes that include Spain. Eurail Spain Pass -- Three days of travel within a month; choice of 1st or 2nd class. Renfe Spain Pass -- 4 Journeys within one month; Business/Club or Tourist class seats. Linking the main tourist destinations of Madrid, Seville, Malaga, Barcelona and Valencia are the comfortable and fast AVE trains run on 3,100km of track at speeds of up to 320 km/h. If you'd rather see cities, this is the way to go without wasting time. You'll need to make mandatory reservations through an agency or at the station. If you select Buisness/Club class, called Preferente in Spanish, you'll be able to access the AVE lounges in the stations before your trip. If you also wish to visit France, there are high-speed Trains to take you from Barcelona to Paris in a little over 6 hours. Whether you're looking for cheap or luxurious, we hope this little guide will help you plan your rail journey through Spain. 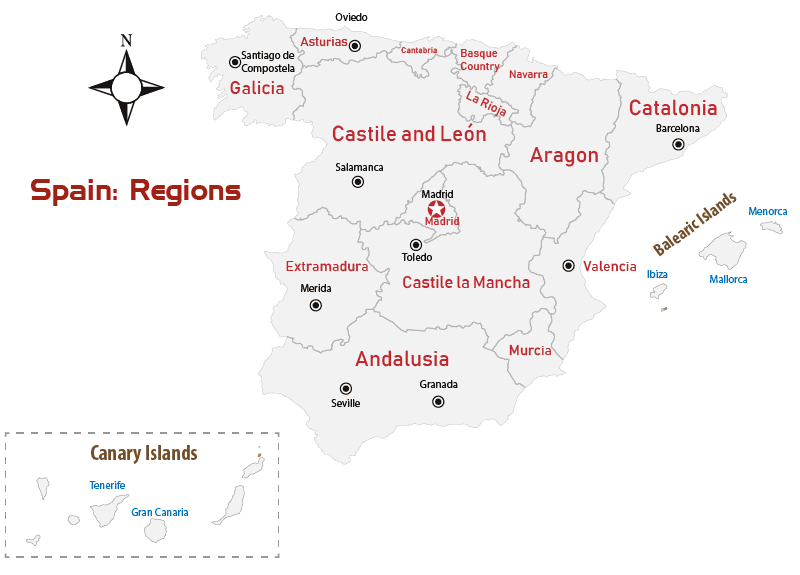 See the regions of Spain on a map made for travel planning. Find the top tours in Spain to go with your rail exploration. Page modified: March 26 2019.